One of the most exciting things about a polytunnel in July is the wide range of soft fruits that can be harvested at this time of year. Many soft fruits come into ripeness this month, including gooseberries, most currants, and wild and summer-fruiting cultivated raspberries. Wild raspberries will usually ripen before cultivated raspberries and the harvest will last for around a month. Towards the end of the month you may begin to see the first ripe autumn raspberries too, though their harvest will usually come a little later in the year. You may also be enjoying the last of the strawberries this month. It is said that planting broad beans near gooseberries may deter pests, and tomatoes may help gooseberries to grow, so gooseberries could find a place in your polytunnel amongst annual fruit and vegetable crops. When you take good care of them, gooseberry bushes in your polytunnel can provide an abundant crop of juicy, tart berries that can be used as an alternative to lemon to add tartness in a range of recipes, or cooked with sweeteners to make jams and desserts. Harvest gooseberries when they are full and have a slight give to them. Raspberries are one of the most delicious treats of the summer and autumn months. Remember that there are a range of different varieties – some of which fruit in the summer and some of which will fruit a little later, into the autumn. Raspberries grown in a polytunnel can help to make the most of the vertical space and can make it easier to get a good, reliable crop of this delicious fruit. Harvest raspberries when they are fully coloured (usually red, though there are also yellow and other varieties) and slip easily off the rasp. Raspberries can be eaten fresh, cooked in a range of recipes, preserved in jams or frozen for later use. 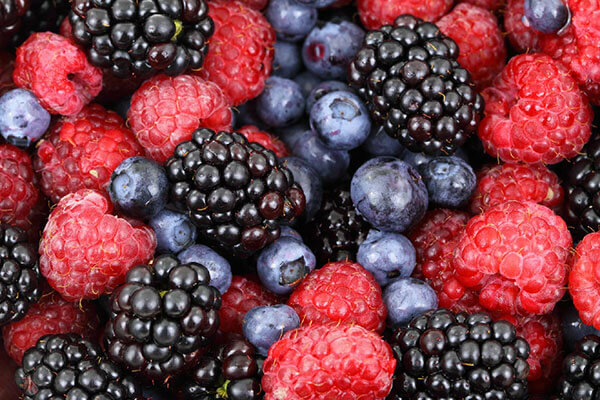 In addition to growing different raspberry varieties in your polytunnel, you could also consider growing other similar soft fruits such as Tayberries, boysenberries, loganberries and wineberries. There are a wide range of different currants that can be added to your polytunnel garden. Consider growing blackcurrants, red currants or white currants in your polytunnel, which you could use to make a wide range of jams, drinks and desserts. Currants can also be dried for use in a range of recipes, so you can benefit from the nutrients of these fruits throughout the whole year. In July, you may also be able to enjoy the last of your strawberries from your polytunnel. As well as eating these fresh from the garden, you could also consider making jams or freezing some of the fruit to enjoy later in the year. July is a month when you can really see the benefits of growing soft fruits in your polytunnel. Consider expanding the range of soft fruits that you grow and let us know how you enjoy them in the comments below.